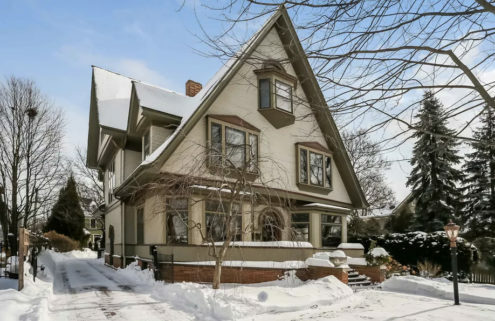 A Michigan home designed by Frank Lloyd Wright in 1951 has been returned to its former glory – and is now available to rent via Airbnb. 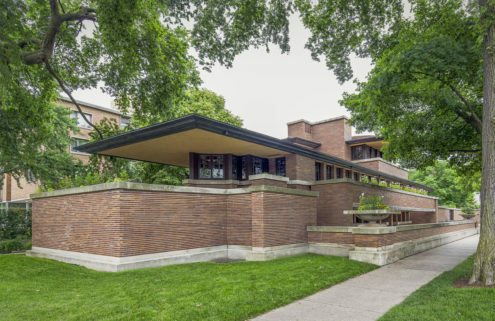 Frank Lloyd Wright designed the Eppstein House for Samuel and Dorothy Eppstein, and the Galesburg building has undergone extensive renovation over the last year to rescue it from more than a decade of neglect. 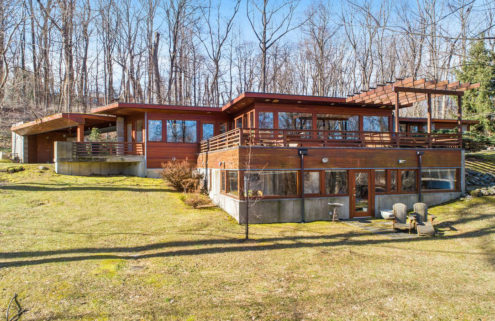 Marika Broere and Tony Hillebrandt purchased the three-bedroom home in 2016 for $368k after being drawn to Wright’s use of natural light across the Usonian property, and its 70 acres of woodland. 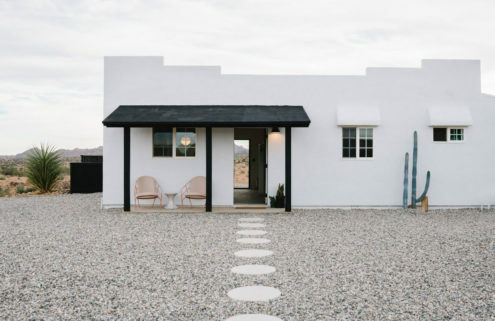 Their top-to-toe restoration focused on preserving existing elements, such as the concrete blocks, and updating the plumbing and electricity. 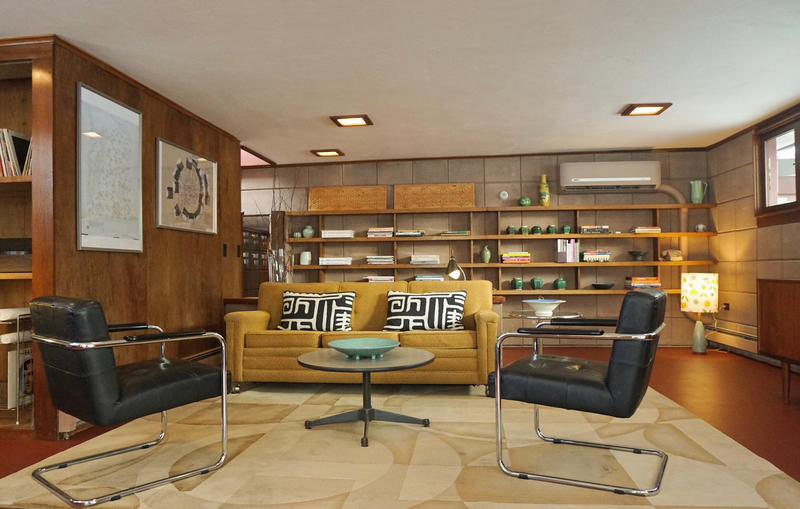 Decaying mahogany has been removed and replaced, concrete floors restored, and climate control added to each of the rooms to halt any further damage. The pair removed a swimming pool that hadn’t originally been designed for the house, and salvaged tiles that date back to the 1950s for the bathrooms. 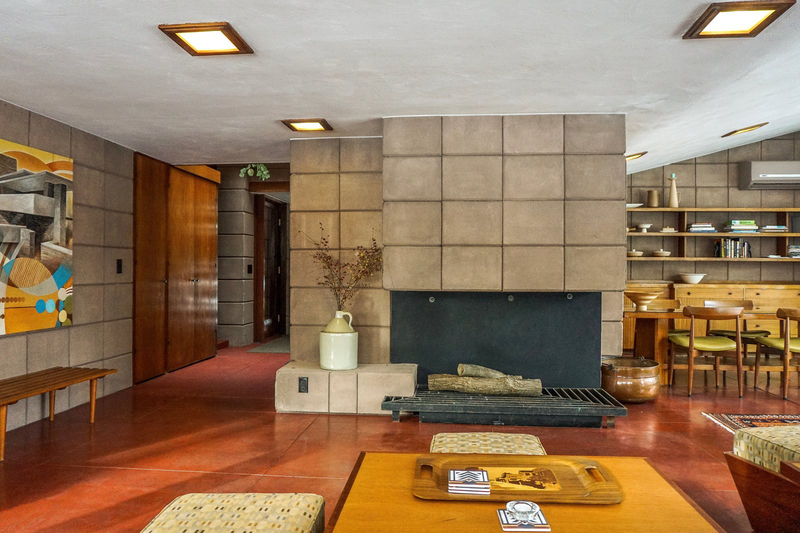 And to further emphasise the property’s historic atmosphere, Broere and Hillebrandt sourced original furniture by the architect, and other pieces from the period, and have stocked the shelves with architecture books and Frank Lloyd Wright DVDs. 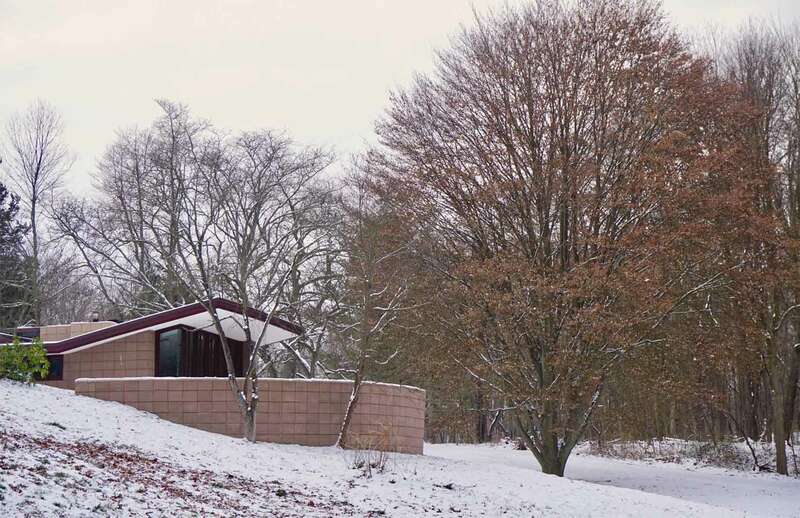 The pair plan to open the Modernist property to the public once a year, but in the meantime architecture admirers can rent the US holiday home from £258 per night on Airbnb. Guests will have full roam of the house, as well as its three terraces which look onto the surrounding trees.